We have a baby just learning to walk. 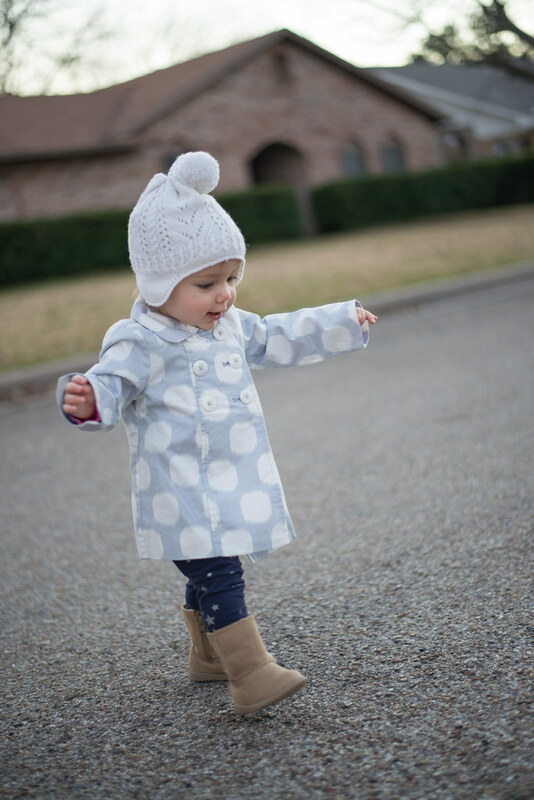 Like all children who are taking their first steps, when she moves too fast, she stumbles. She is at her best when she is slow and deliberate, for now at least. I think the same could be said of all of us. Move too fast, and you’re liable to stumble. Slow down, think carefully, choose deliberately, and you’re likely to fare much better. Now, this isn’t a blanket statement for every human endeavor—James tells us we should be quick to listen, for example (1:19)—so where might it apply specifically? Solomon, in all his wisdom, counsels, “Desire without knowledge is not good—how much more will hasty feet miss the way!” (Proverbs 19:2). When we feel desire—emotion, zeal, passion—we have to be wary. Do our feelings correspond with knowledge, or are we responding too hastily to an impartial or obstructed view? It is not wrong to be passionate about an issue, but to be passionate before you know what you’re talking about is terribly dangerous. This is an important word for us. Of the many ways our culture tempts us to sin, haste must be among the most powerful. We live in a lightning-quick world, and one getting quicker by the moment thanks to technology. With the advent of social media, for example, we can all respond in real time to unfolding events. And we do. We tweet and like and comment and share as we watch the story develop, especially if we feel strong emotion about what we’re seeing. Desire, yes. We have that in abundance. But does it come with knowledge? Certainly we see how dangerous this can be when it comes to social or political moments. Once a story breaks, we are all expected to respond—but likely before the facts are in. True and extensive knowledge is impossible. A police shooting takes place. Was it racially motivated? Was the suspect unarmed and compliant? Did the officer have a history of violence? Do the witnesses agree on what they saw? These are questions we are unlikely to have answered for a period of days or weeks. Have we expressed our passion, emotion, desire prior to knowledge? We could multiply examples easily, especially in a climate of shoddy reporting, click-bait journalism, and fact-checkers who have stopped bothering to check facts. But the application goes far beyond social media and our divisive political atmosphere. How often are we tempted to respond heatedly to those around us before we fully understand the situation? I can remember from my years as a teacher laying into a student for some poor choices, only to discover I had completely misread the situation on the basis of very false assumptions. I had zeal without knowledge. Hasty feet misstep—and the resulting tumble is ever so painful. Elsewhere Solomon advises, “The simple believe anything, but the prudent give thought to their steps” (Proverbs 14:15). The prudent give thought to their steps because they don’t want the painful tumble. Once when hiking, I watched a friend tumble down a rocky incline for about 200 feet before he slammed against a tree trunk. Thankfully he was only (badly) bruised, but it was a harrowing experience. I thought he was dead at first. What caused the fall? He put all his weight down on a spot that couldn’t support it. He stepped where he shouldn’t. That’s what we do when we believe anything too hastily, before we’ve really thought through the issue. Have you put all your weight down on the latest best-selling “Christian” book before you’ve considered if it’s really biblical? Scanning the titles of many of the recent best-sellers leads me to believe we’re not an overly thoughtful audience. Peter offers us another fine example of overhasty stepping. When he heard about the persecution his brothers and sisters were suffering in Jerusalem, he stopped dining with Gentiles. No big deal, right? He was just looking out for his friends back home. But, as Paul pointed out, he’d stepped without thinking, and in so doing compromised the gospel itself (Galatians 2:11-16). His desire—the passion he felt to spare his friends some sorrow—didn’t accord with knowledge. We are hasty people. James wouldn’t have to tell us to be quick to listen, but slow to speak and respond (by becoming angry), if he didn’t know we were going to struggle mightily with it. We’re a “shoot first, ask questions later” species. We are hasty people, and we live in a hasty world. Let me encourage you to live post-haste—the world that could be after our current hasty culture. Leave haste behind. Think carefully, deliberate slowly, speak reluctantly. Because desire without knowledge is not good. Writing blogs is a dangerous pastime. The trouble with writing something short is that one never gets to say all that there is to say on any subject. Instead the blogger must rest content with hinting at the fullest possible picture, while packing as much rhetorical punch as possible into a few short lines. The possibility of misspeaking or being misunderstood proves all too real. What I ask in return from my handful of readers is a similar commitment. When posting comments in response to me or other readers, ask yourself, “Is this comment posted in a spirit of Christian charity?” “Love,” says Paul, “is patient. . . . It is not rude” (1 Corinthians 13:4-5, NIV). Shouldn’t this standard apply to the blogs we post and the comments we make? Certainly. Let us proclaim the cross of Christ—with its humility, others-centeredness, self-sacrifice, and love—not only in the comments we make, but in the way we make them too. Remember, “If I speak in the tongues of men and of angels, but have not love, I am only a resounding gong or a clanging cymbal” (1 Corinthians 13:1).